There are a few recipes that my husband remembers from his childhood and has asked me to make. One of these dishes is not a “dish” at all, but a foil-wrapped dinner thrown in a low-burning fire. Sometimes referred to as a “Boy Scout Dinner” – because Boy Scouts make them on their camping adventures — the meal is easy and tasty. I don’t know that I make it quite like Brent remembers, but he was kind of vague on the seasonings. He knew the basic ingredients of hamburger, carrots and potatoes and then he left it up to me to experiment from there. Every time I make them, they seem to turn out a little different. 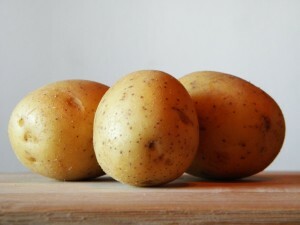 Usually, I take an individual serving size of each of the three ingredients in their raw form (with potatoes and carrots cut in 1/2 inch pieces) and place them on a one-foot square piece of foil. Next, I sprinkle on some seasoning salt and slide on a pat of butter. Then, I close the foil and place it in the fire (hot coals more than a raging fire) for about 30 to 45 minutes. Although when we’re camping time is relative, so don’t quote me on that. Since Brent (and now the kids) have asked for this meal (but not always provided a fire to cook it in) I have tried the foil-packaged dinners in the oven too. They work just fine in a 350 degree oven for about 40 minutes. In strolling the internet looking for variations of this foil meal, I have found that many people refer to this style of cooking as “hobo” meals. There sure are a variety of recipes too. Some cooks form the meat into a patty and slice the potatoes and carrots on top. Other cooks include sliced onions. I have even found cooks who use other meats – like chicken or steak. Then I found a variation right up my alley: forget the foil, abandon the individual serving idea and pile all this in a casserole dish with cheese on top. I couldn’t resist trying that one and it got good reviews from my eaters. Layer the browned meat, sliced potato and carrot in a 9x13 (or slightly smaller) casserole dish. You can also stir these ingredients together rather than layering them. Make a white sauce by starting with a roix from the butter and flour and seasonings. Then add the milk and heat to boiling while stirring. Pour the white sauce over the other ingredients. Bake in a 350 oven for 20 minutes.